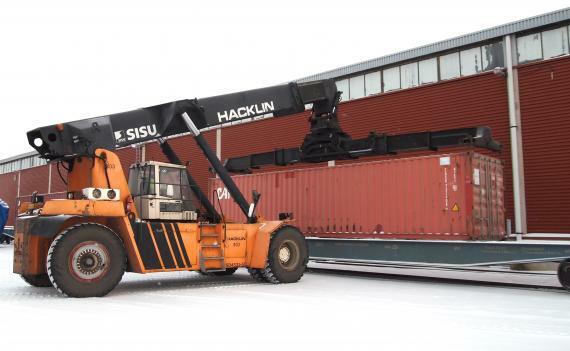 Dedicated project forwarders, Hacklin Logistics in Finland were established in 1980 and have been PCN members since 2011. The company are amongst the market leaders in the Finnish project forwarding sector. Showing their expertise in moving cargo to Russia and CIS countries, Hacklin are currently handling a project for the mining industry to Kazakhstan. The equipment originates from many different countries so the coordination of the Hacklin team has been essential to get the equipment moving at the right time with the right permits and documentation. Another project currently being handled by the company is pulp machinery equipment destined for the Arkhangelsk area of Russia. For both these projects, Hacklin have utilised their bonded warehouses in Hamina and also assisted with the tax planning. Hacklin Logistics have a solid knowledge in the transporting and customs clearance of technological equipment and dismantled factories to Russia and CIS countries. Project shipments by air, truck, rail and barge have recently been successfully completed to Vladivostok, Murmansk and the Eastern Ural area amongst others.